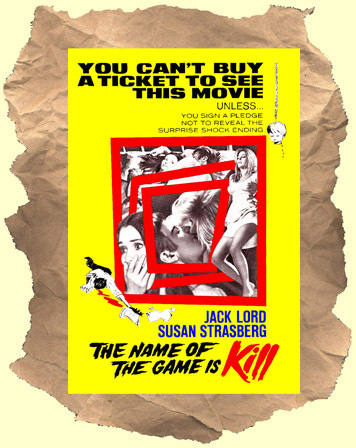 SYNOPSIS:Now you can finally see this elusive horror thriller from 1968 starring Jack Lord and Susan Strasberg. In a change of pace Lord does a foreign accent in this film (made just before Hawaii Five-0 started) He plays a Hungarian drifter wandering across America. He winds up at a strange remote house in the Arizona desert with Susan Strasberg and her weird family (2 oversexed sisters and her mother). One sister does a wild dance to her new "Electric Prunes" album! A genuinely creepy film with some great cinematography by Vilmos Zsigmond. This film is a recommended personal favorite. QUALITY NOTE: The original print of this film has faded so the colors are muted.